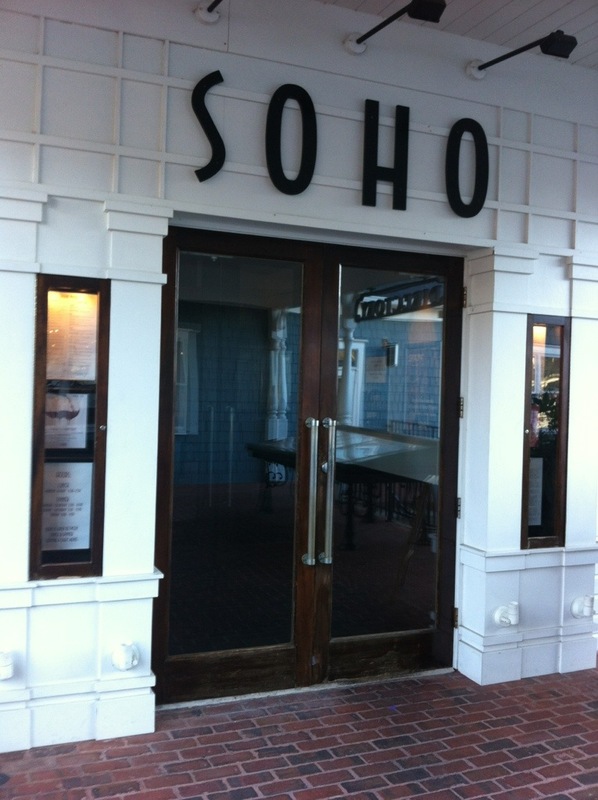 For Valentine’s Day, we were looking for a spot on the way downtown and SOHO was one of the places that popped up with an open reservation. We actually attempted to eat there a couple of years ago – we even had a reservation. But I confused where we I had made the reservation with where we went (Social, Vinings). I even made quite a scene about them not having my reservation at Social when we got there…. We arrived at 5:15 (for a 5:15 reservation) and there were eight to ten people sitting in the bar. The hostess greeted us and said that she’d be right with us – there was a couple at the bar that she needed to seat first. She wandered over, found them and led them to a table. Then she came back to the hostess stand, looked at the computer and walked away. Three minutes later she came back, looked at the seating chart on the computer again and went away. This could be potentially understood if there was anyone in the restaurant. Of the fifty plus tables, there were four tables with someone seated, including the couple that she just took. A couple of minutes later she returns and tells us that she’s “smarter than the computer” and that she’s going to sit us somewhere where the server hasn’t just had someone seated. She then walks us through the front of the restaurant where there were three couples seated. We walk into the other area where there are 12-16 tables. Only one of them is occupied, by a foursome with menus in there hands. She sits us at the table right next to them. We ask if we could take the table behind where we are. Or in front of it. She gets exasperated and says she’ll have to go back to the computer. I express how ridiculous this seems, as there is no one on this side of the restaurant at all (except for the people next to us who haven’t ordered yet) and this is where she sits us to get the best service? Ultimately, we move to the other end of the restaurant and the dinner finally begins. 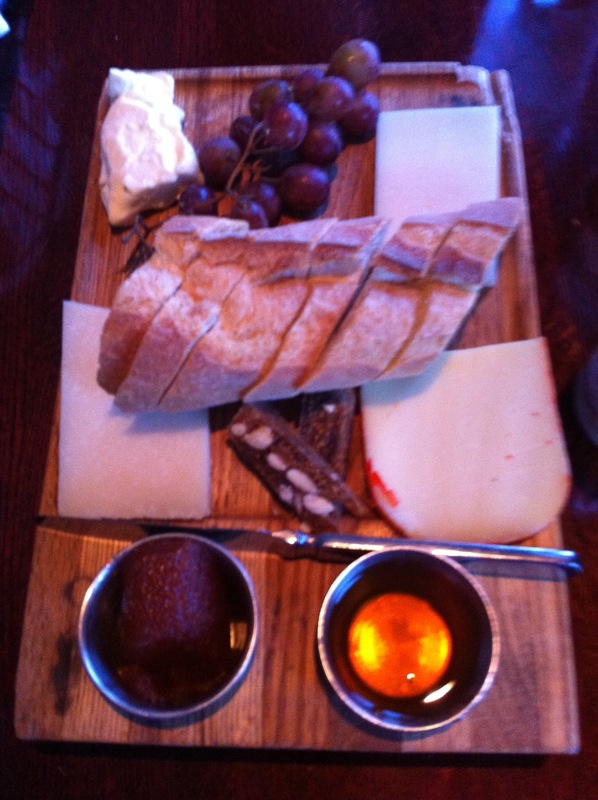 We started with a cheese tray, which was priced very reasonably, with four cheeses, honey, a baguette, almond bread, grapes and a quince paste. The brie, top left, was the best of the lot, particularly tasty on the baguette. Even better, when dipped in the honey. Jo started with butternut squash soup. It was served in a giant bowl, was very hot and (according to her) quite tasty. 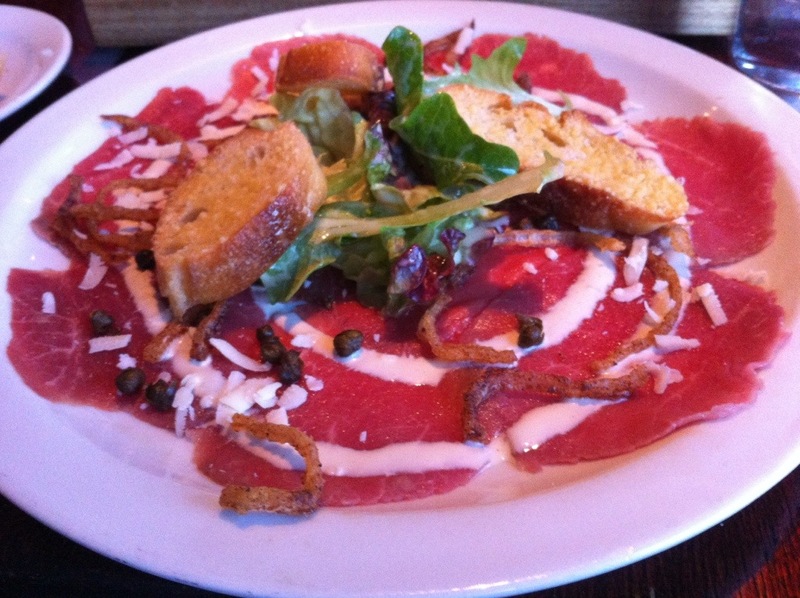 I ordered the wagyu carpaccio, served with a creamy dijon sauce, asiago cheese, fried capers and crispy shallots. The beef was sliced thin, as you’d expect, but I didn’t enjoy it, at all. I ate a little over half – I think it was the dijon that killed the dish for me. For dinner, Jo ordered the braised cider beet salad (artisan greens, goat cheese, sliced pears and a citrus vinaigrette). She said that this was one of the better beet salads she’s had, of late. It didn’t surpass her favorite (Todd’s Token Salad at Muss & Turner’s), but she really enjoyed it. 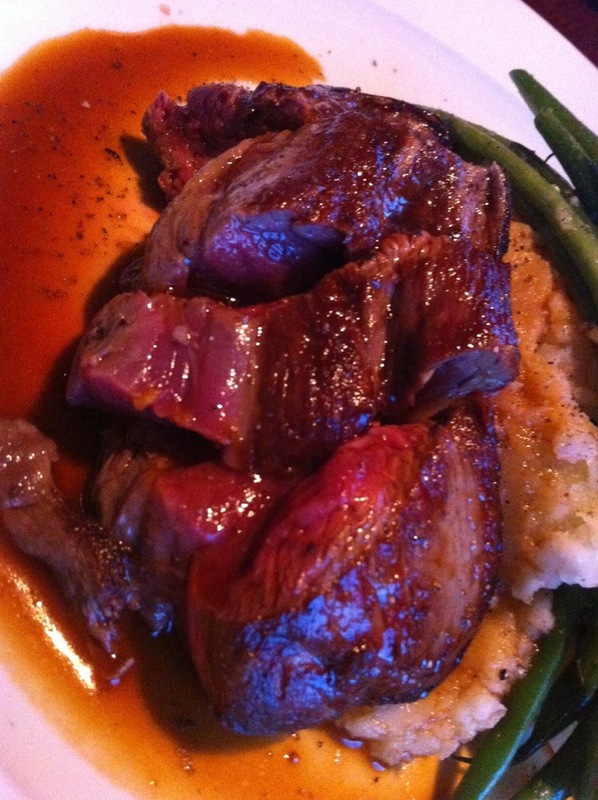 I ordered the elk tenderloin (thinking of a glorious dinner at Rathbun’s), replacing the standard sweet potatoes with buttermilk mashed potatoes and the haricot verts with which it is paired. The green beans were French-style, fairly crispy but completely tasteless – I found it amazing that anything could have that little taste. The mashed potatoes were fine, but nothing spectacular. The elk was cooked medium rare, as requested, but I didn’t particularly enjoy it. I think it was the raspberry and mustard marinade – apparently I like dijon mustard even less than I thought. I don’t know that I’d rush back for dinner again, but I’m not unwilling to try it again if we’re in the area.